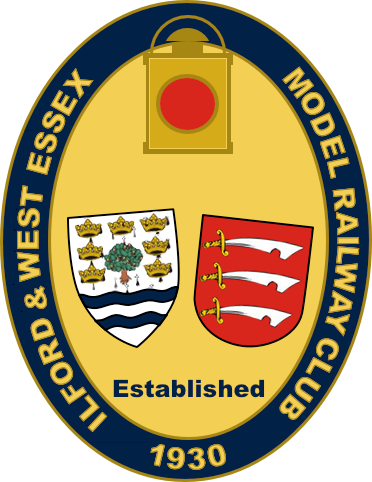 The Ilford & West Essex Model Railway Club has a great diversity in both its interests and the background of its members. 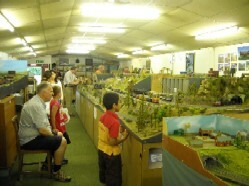 Our aim has always been to promote and encourage the hobby of railway modelling, by enabling enthusiasts to meet, build and exhibit their layouts and models, and take part in any other railway and transport related activities, both within the club and through other railway clubs, societies and organisations. 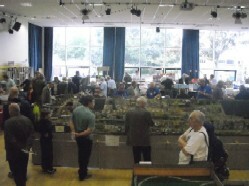 Every year we hold a 2-day model railway exhibition, displaying some of our own club layouts and those of our members, plus invited layouts from other clubs and enthusiasts, together with a full comlpiment of traders and other demonstrations to display the richness and variety of the hobby. 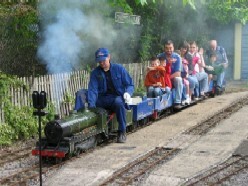 We also hold monthy steam/open days from April to September every year, where we open up the club house to the public as well as giving rides on our 7¼ gauge miniature railway. The club house currently houses eight club layouts in various stages of construction, a dedicated modelling workbench, a comprehensive club library, and live steam workshop. The I & WEMRC is affiliated to The Model Railway Club and is a member of the Chiltern Model Railway Association, both of which provide the club with many additional benefits. The various club sections meet at the club at least four days per week, so why not come down to the club house on the appropriate day/evening and say hello? If you are a railway or transport enthusiast, young or old, expert or novice, you will find a warm welcome here.